Ask Yourself: Can Your Gym Do This? Our indoor facility is divided into 3 Major Sections. Section 1, is the mobility area. This area is where members keep their belongings, perform mobility work, log their scores on the score tracker and socialize with friends. Section 2 is the main workout area, fully equipped with all Rogue Fitness equipment, a massive rig, and many olympic lifting stations. Section 3, is the gymnastics area and freestyle area. This area is covered by foam flooring, and is home to our rope and ring stations – an ideal area for body weight gymnastics and freestyle movements. Recently, we had nearly half of our massive outdoor facility covered in artificial turf, adding variety and excitement (as well as natural elements) to the WODs for our members. The outdoor area is constantly changing to accommodate the various domains of CrossFit, so don’t be surprised to see new rigs, sleds, tires, obstacles, or other objects appear out there every so often. Healthy snacks, featuring GButter™, Perfect Bars™ and FitAid™. 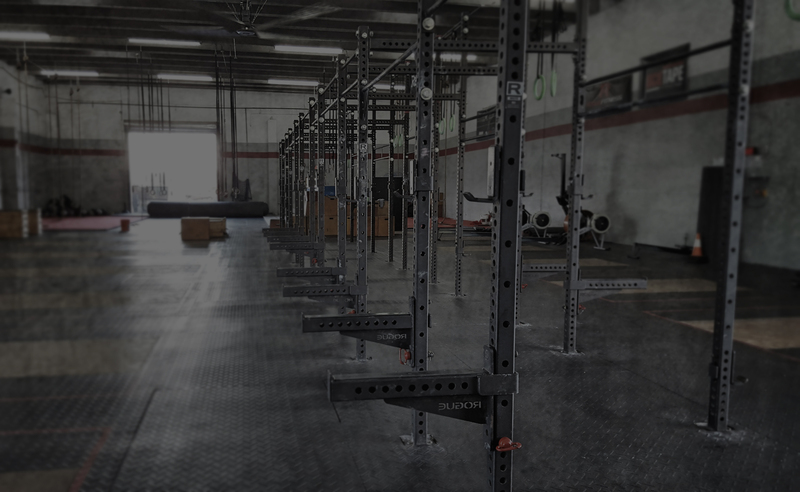 Our Freakin’ CrossFit Retail Store is fully stocked for all your fitness needs. Whether it’s supplements like SFH™ Fish Oil and Progenex™ powders, or clothing like shorts, tees and hoodies, or even fitness accessories like speed ropes or knee supports, we have what you need to keep your progress going! Have a look at our inventory on display near the front desk the next time you’re in. Our store will soon be online, as well, so you can shop from home and pick up at the box whenever you’d like.